Brian Flies of FC Copenhagen made his debut as United sought their third consecutive away victory and for a long time that is how it looked as though it would work out. Jerren Nixon starting his third game in a week gave the Killie defence early warning of the menace his pace posed to the Killie defence. There were only three minutes on the clock when Jerren's jinky run took him past several defenders before he was brought down by Black right on the edge of the box. Though Craig Brewster's free-kick was blocked, the ball rebounded to Jim Mclnally, but his shot slipped past the post. Goalmouth excitement of that nature may not have prevailed for the remainder of that half; but there was plenty of effort in the middle of the park with most of the moves breaking down on the edge of the box. Dane Brian Flies first serious involvement came in the tenth minute when he pushed McCluskey's speculative and wind assisted curler round the far post. The trialist keeper was in action again 15 minutes later when he dropped on Mitchell's shot on the turn. Within a minute Craig Brewster played the ball into Jerren Nixon's path and only Black's intervention prevented Jerren's shot from counting. Just when a goalless first period looked on the cards, Jerren Nixon who constantly stretched the home defence, crossed from deep on the left and Tom Black trying to clear with his left screwed the ball into his own net. 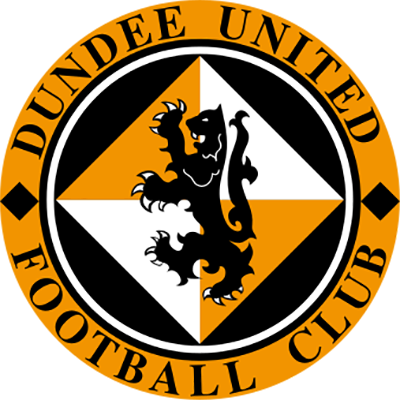 The wind was in United's favour in the secand half and 12 minutes after the interval Craig Brewster received a pass from Billy McKinlay in space and sent in a cracking 25 yarder which clipped the top of the crossbar with Geddes well beaten. 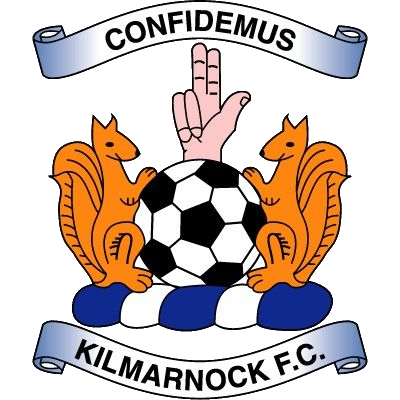 Killie's only threat came from a Maurice Malpas clearance which cannoned off Mitchell, but Brian Flies made the save low down to his left The home side must have been delighted to see Jerren Nixon depart after taking a heavy knock in the second half. As the minutes ticked by, Killie sent on two strikers to try and salvage a point and ten minutes from the end when you couldn't see where a Killie goal would come from. MacPherson's low cross into the box was missed by a forest of United defenders and Tom Brown squeezed the ball into the roof of the net from eight yards. 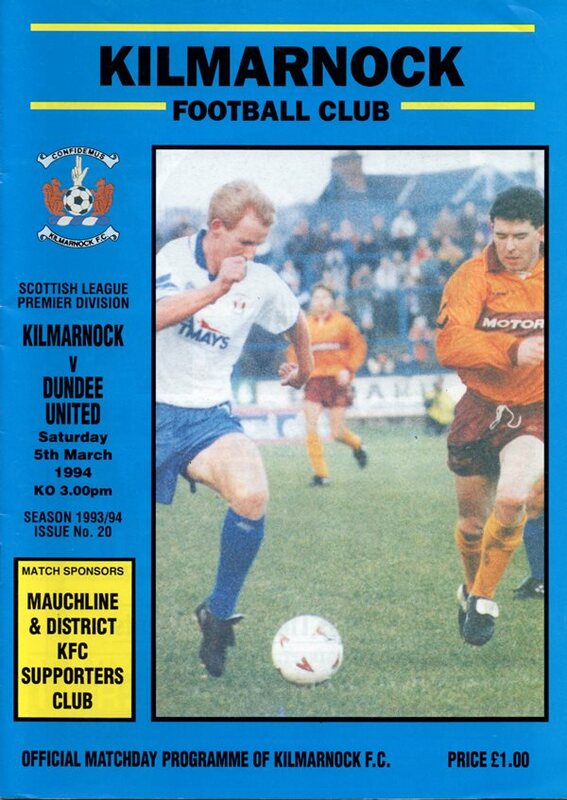 Even then Killie, or Angus MacPherson to be more precise, almost presented us with a winner as he header back towards Geddes was intercepted by John O'Neil, but Geddes kept his low driven effort and we had to be content with a point. Manager Ivan Golac was disappointed at the loss of another late goal, but also felt that the hectic schedule of three games in a week, including that cup tie at Motherwell had left the side on the sluggish side.